Martha Stewart’s free printable free printable Thanksgiving place mats give the kids a coloring page to complete while they wait for dinner to arrive. You may want to have a few extras on hand since you may have some adults who’d like to color their own turkey, too. If your kids want to help with Thanksgiving dinner, have them create some silly Thanksgiving place card holders for the kids’ table. 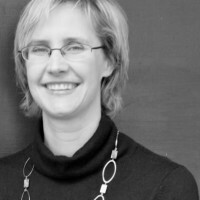 At the blog You Are Talking Too Much, I love how she uses Mr. 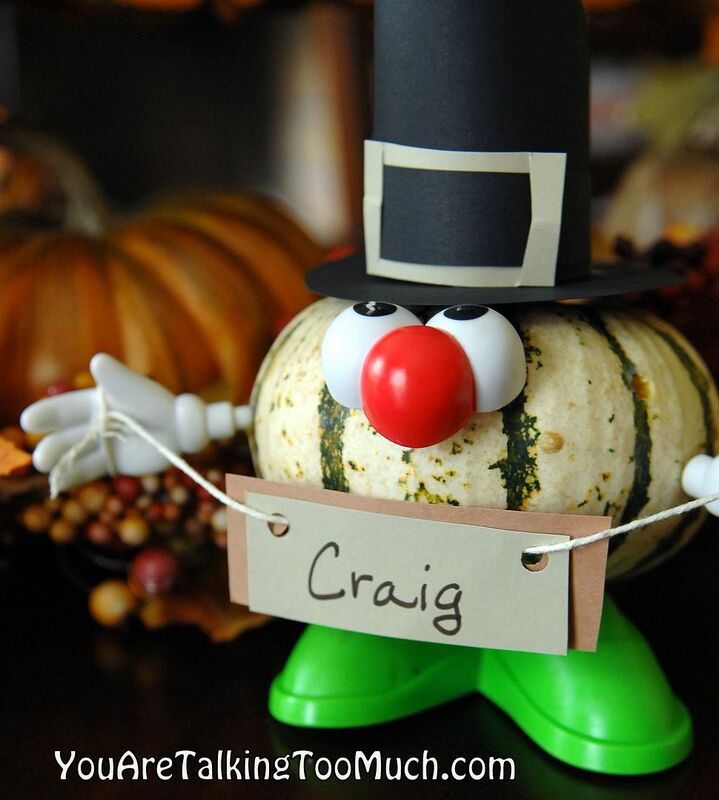 Potato Head pieces and small pumpkins for personalized place settings that will make everyone smile. Follow her instructions for doing this safely, including a tutorial for how to make the cute pilgrim hat to top it off. 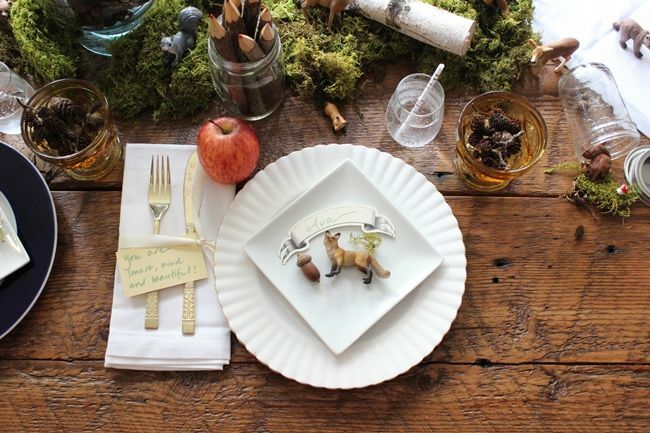 While it’s not turkey themed, I think the rustic table decoration craft ideas by Valley & Co. for the Land of Nod blog are absolutely perfect for a kids’ table at Thanksgiving. I love the use of moss, branches, and pinecones from outside, mixed together with little woodland creature toys to mark each spot. 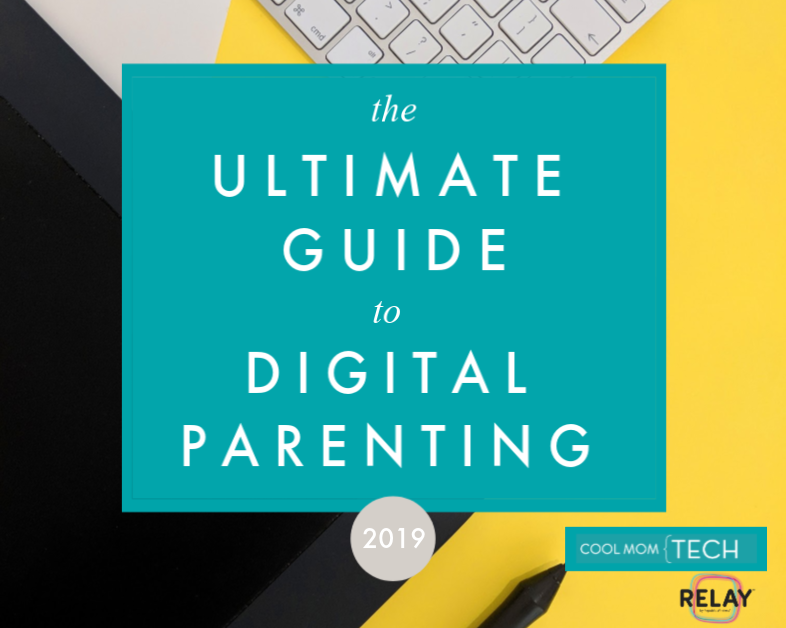 Visit the link for great tips, including instructions for making an entertaining, coordinated tac toe game to help everyone pass the time. Plus, grab the simple, free printable Thanksgiving coloring page the kids can work on between courses. 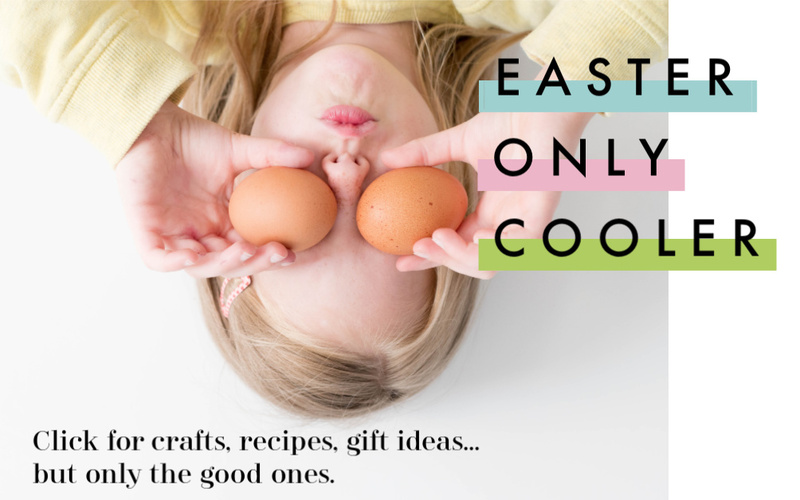 Related: 11 really fun Thanksgiving printables, from activity books and coloring pages for the kids, to table decor that makes you smile. 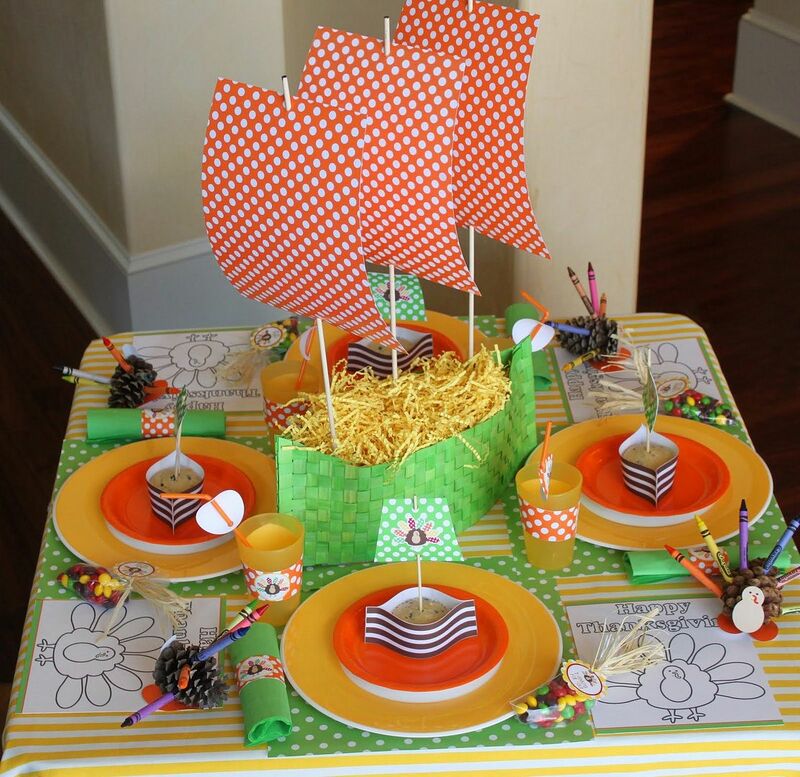 With a nod to the Mayflower, Amanda’s Parties to Go has created this clever DIY Thanksgiving ship centerpiece which stands out in a sea of plates, cups, and crayons. 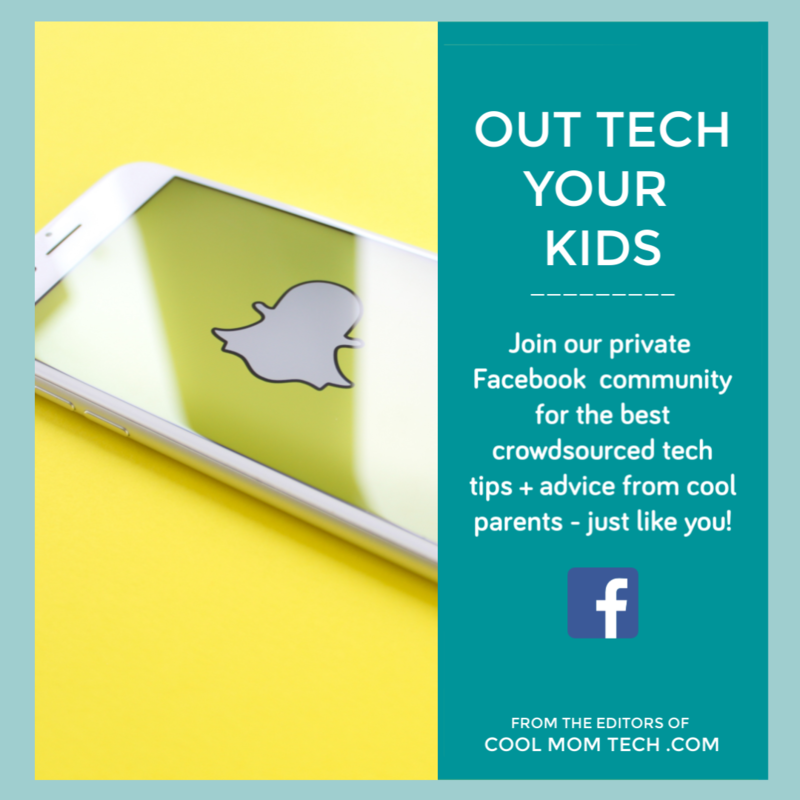 The lime green definitely adds a punch of color to all the fall hues of the season, but I might do it a little differently; the kids’ table can be fun and kid-like but still coordinate with the rest of your decor. 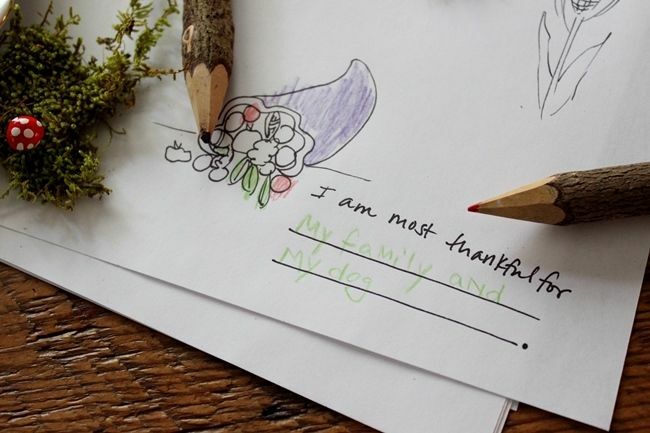 Leave it to our friends at Caravan Shoppe to come up with probably the most gorgeous and thoughtful Thanksgiving coloring placemats we’ve seen. Kids will have the best time coloring them, and learning fun facts about the day too. 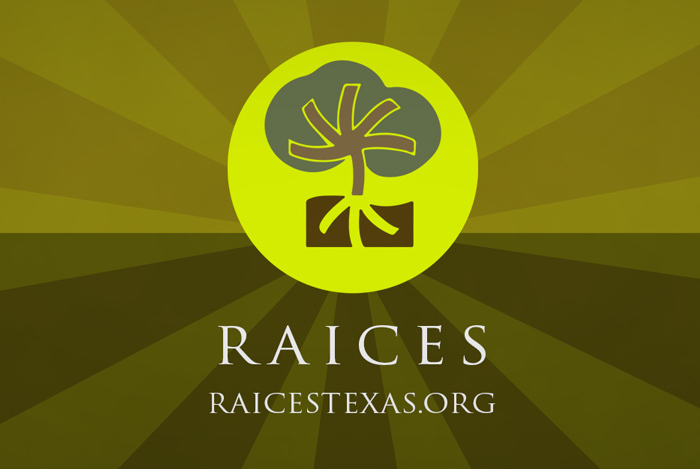 Plus the set includes five different color options including both black and white and full-color versions. The set is $6 for the download, but aren’t they amazing? We especially love the one about the benefits of gratitude; we might even just print a whole table full of those. Not just on Thanksgiving, either. 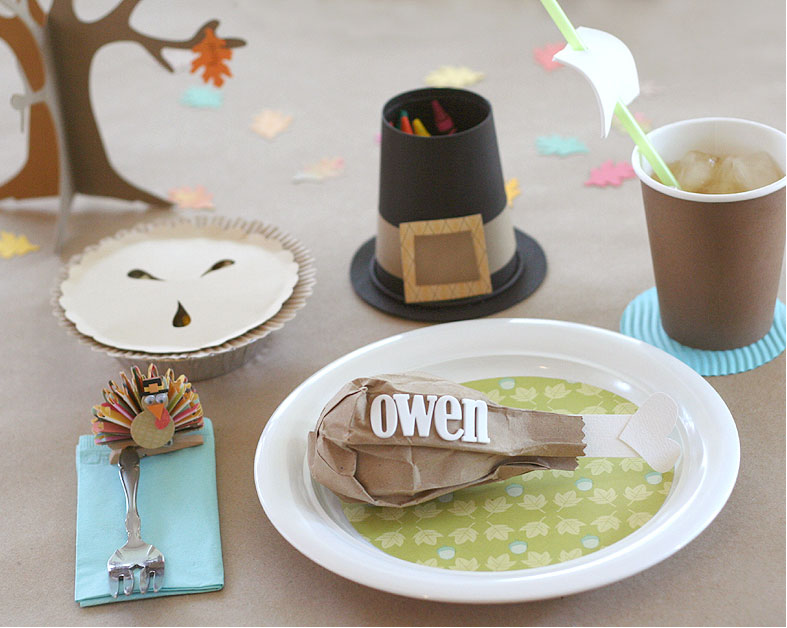 Make your own Thanksgiving banner centerpiece for the kids’ table for the kids’ table thanks to Parent magazine’s nifty kids’ table idea. I like that you can spell out a message that best fits your table — and how much time you want to spend putting it together). Like Thanks may be message enough. Or maybe, more to the point, just eat. 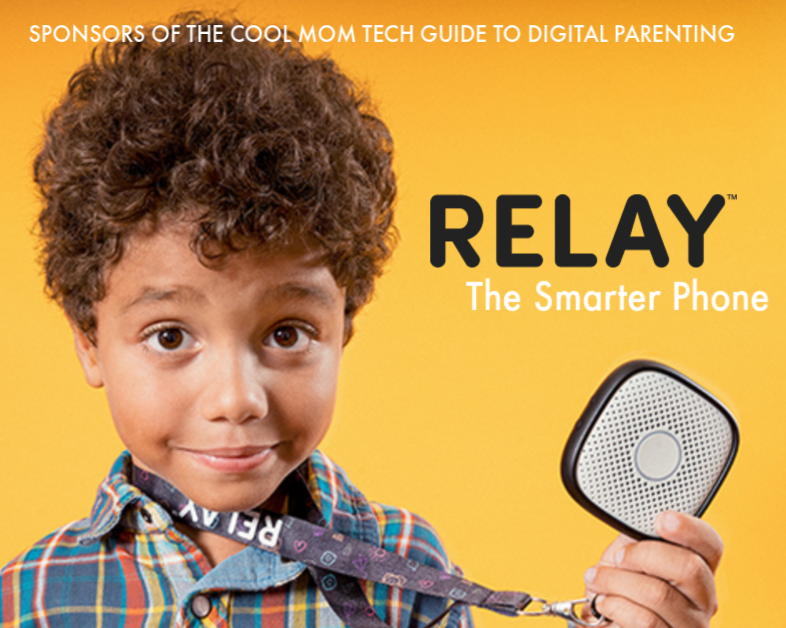 If this is one more thing on your plate, assign it to the kids to take care of during the day as a craft project before dinner starts. 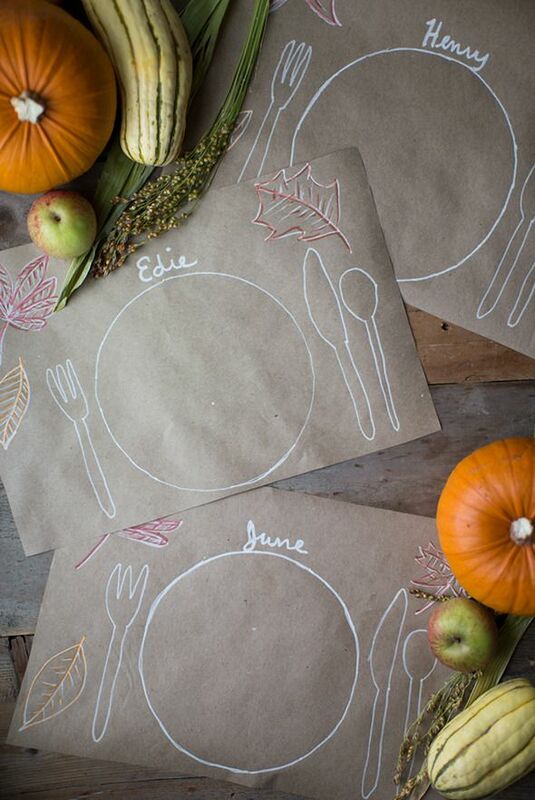 You’ll find an entire smorgasborg of diy kids Thanksgiving table decorations from Lisa Storms on the Fiskars website. 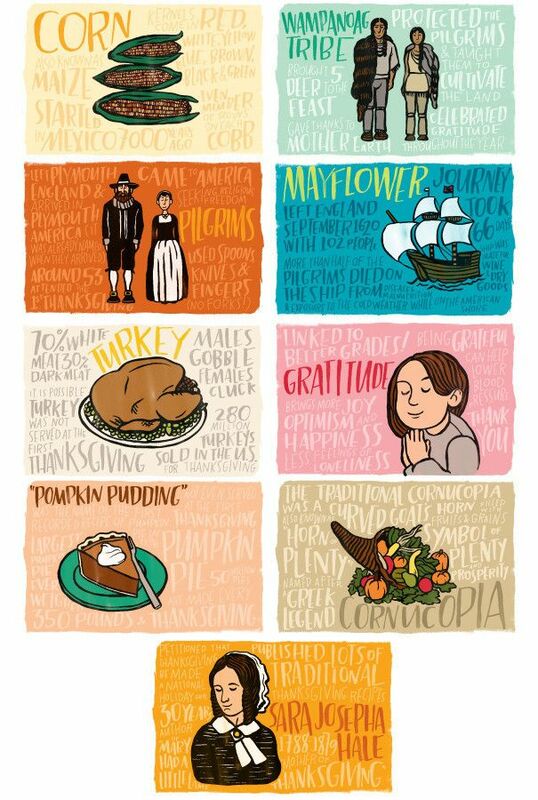 My favorites are the personalized turkey “leg” and the little Mayflower straw sailing away in your kid-friendly beverage of choice. And if you want to put a bunch of crayons out onto the table for the kids to use, check out her cute pilgrim hat crayon holder that looks fairly easy, even for those of us who are crafting challenged. Still, you will want to set aside a little time to make it, or just go with crayons in a paper cup or little basket. Need to gather all the cousins to the table before you can start serving food? Put out some of these fun and free printable Thanksgiving activity sheets for the kids to do on their own. 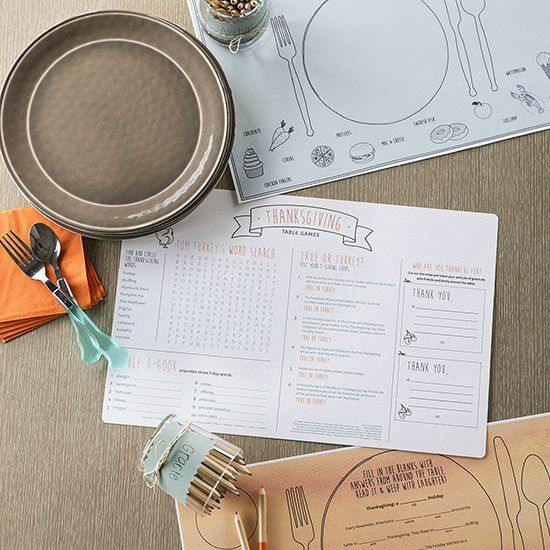 With a placemat to decorate and color plus a trivia page, you may also want to hand these out after the meal — if you’d like the kids to sit still while they’re still waiting for the grownups to finish. 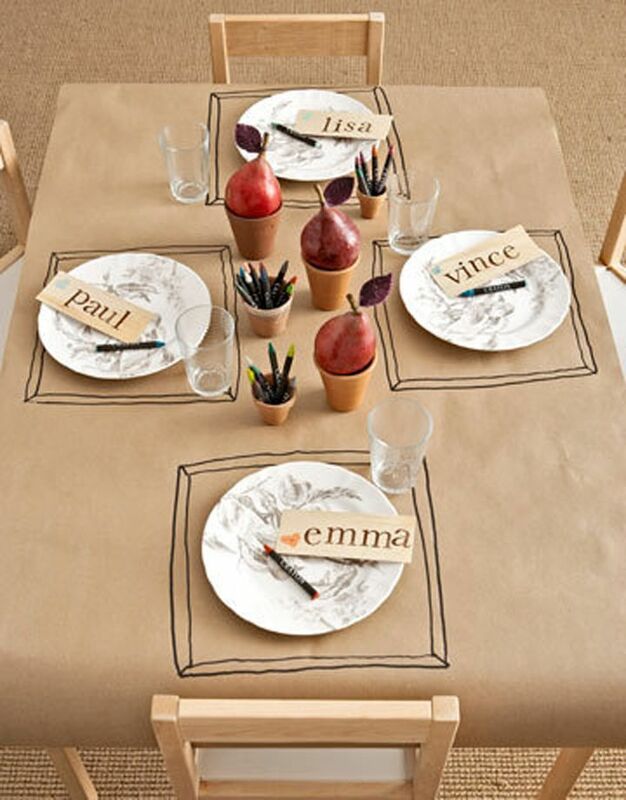 A big meal often means a big mess, especially at the kids’ table, so skip the fancy tablecloth. Instead, I love Country Living’s idea to make a make your own kids’ table covering with butcher block paper, just like they do in family-friendly restaurants. 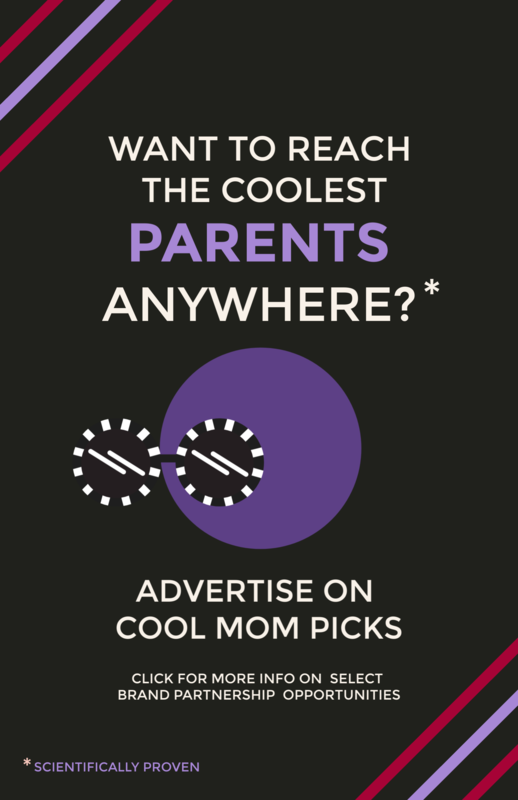 Clever and easy! The best thing? When dinner is done, just roll up the sheet and toss it in the recycling bin. 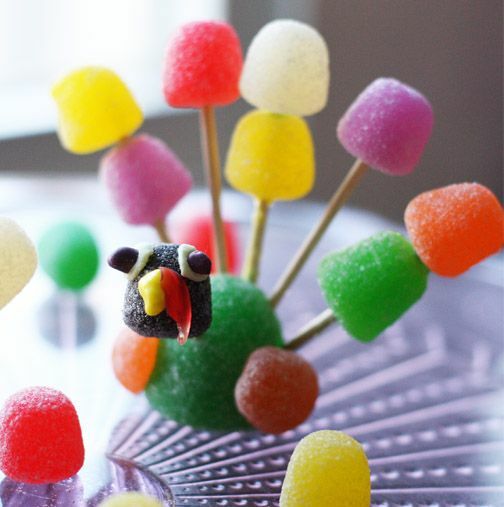 Since it seems that the kids are done eating seconds before we grownups have even finished our firsts (and seconds and thirds), I really like this edible candy turkey craft from the Design, Wash, Rinse, Repeat blog, meant to keep them happily at the kids’ table a little longer. 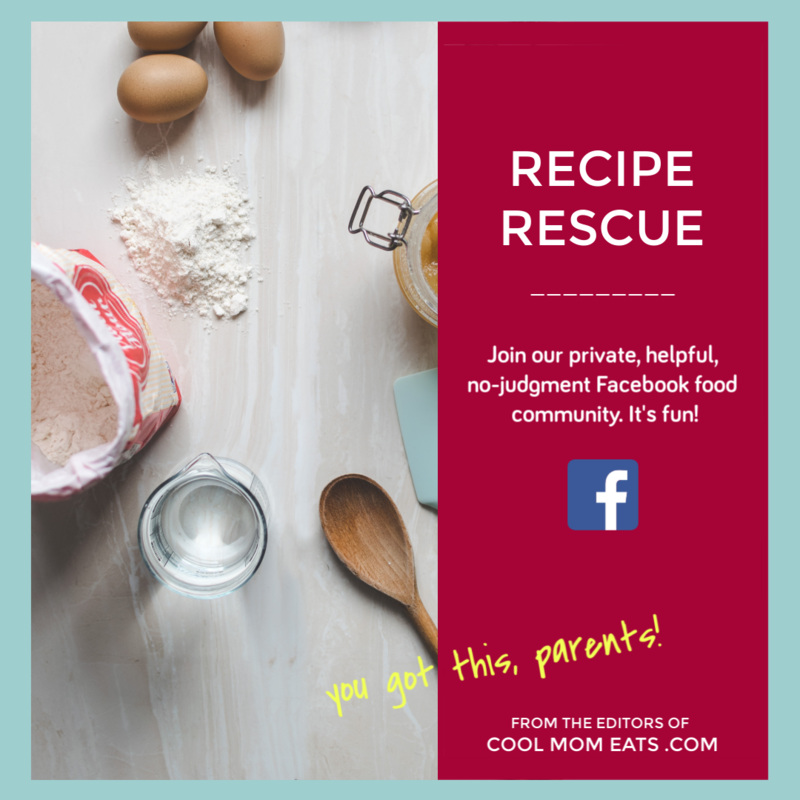 Feel free to prep these ahead of time for very young guests, or put the older kids in charge of this activity while you take your time enjoying all the food you took so long to prepare. Also, be sure they save room for pie. As if you have to remind them.